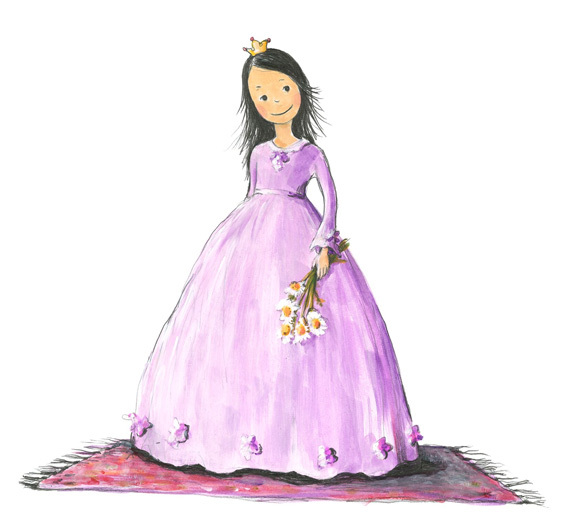 Princess Nely is a storybook character from the beautifully illustrated children’s book “Nely, Princess of Chateau Mcely”, written by the chateau’s owner, Inéz Cusumano. The simple yet dynamic story describes one of Nely’s summer days as she finds ways to entertain herself at the chateau. The princess wakes up one morning and finds that her parents are busy working and can’t play with her, and to top it off, there are no children staying at the chateau that day. 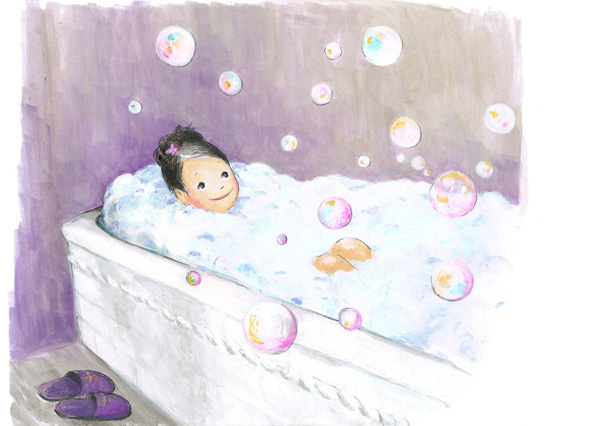 Equipped with her limitless child’s imagination, recollections from her travels with her parents around the world, and her mother’s bedtime stories, she sets off on an exciting expedition. The whole world is there to be discovered at the chateau. 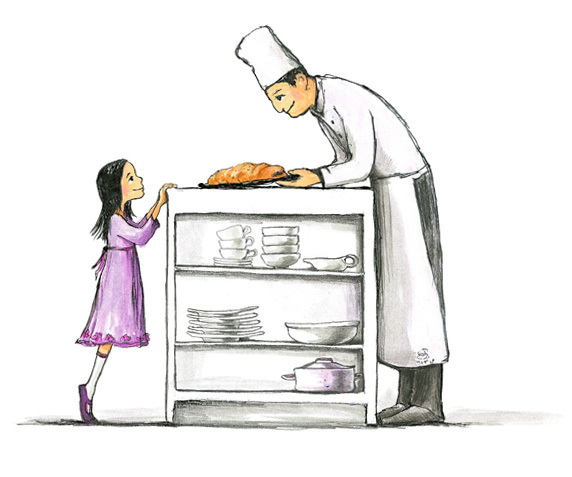 All our children’s services are inspired by the book’s themes, from a stylishly furnished suite, to delicious princess meals and relaxing moments in the spa, to an original collection of adorable Princess Nely gift items. Princess Nely lives in our chateau in Mcely. She loves her magic cheetah Praline, her princess dresses, massages and painted fingernails, and - above all else - chocolate. Your parents aren’t the only ones who can enjoy massages and other beauty fun, so Nely has put together a special spa menu just for kids with all her favorite therapies. Our spa fairies will pamper you with fresh and fragrant herbal oils, lotions and balms that Princess Nely sometimes helps her mother blend in the chateau laboratory. She hopes you’ll like her selection of wellness and beauty salon experiences. The decor of the Princess Nely suite is based on the delightful children's illustrated book “Nely, Princess of Chateau Mcely”. LaSvit, a leading manufacturer of crystal chandeliers, created the beautiful lighting for the princess suite. 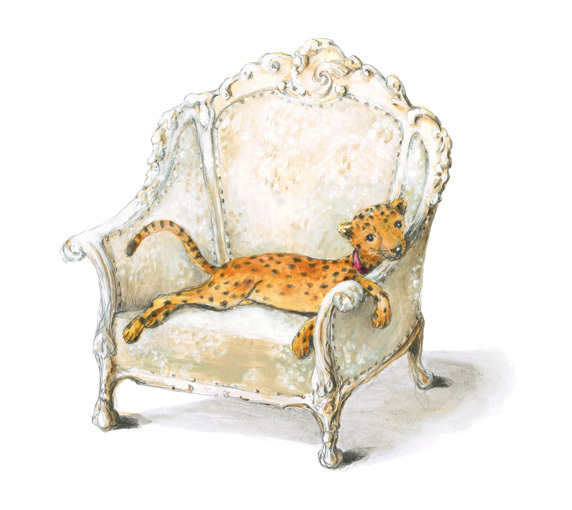 Using the storybook and its illustrations as a springboard, a number of original pieces were created for the suite - fairytale lighting with a golden butterfly motif, a masterfully carved dressing table, onyx stone and a golden princess armchair in the bathroom - everything needed to give you a real chateau atmosphere. Birthday parties with Princess Nely will definitely be an unforgettable experience - and not only for the birthday child. We have a number of packages available for your celebration, depending on the number of guests. Chateau Mcely is also the ideal destination for joyful family events, such as christenings. The chateau park adjoins the small 17th century Church of St. Wenceslas, which is within easy walking distance (with no hills) and is accessible by car for easy transfer to other destinations. To plan your birthday celebration or christening, please contact our team by e-mail at Events@ChateauMcely.com or by phone at +420 325 600 000. It is important for Princess Nely that every child is happy and she wishes to help children follow their dreams. Therefore, part of the proceeds from the book “Nely Princess of Chateau Mcely ”, from the Princess Nely boutique and other parts of the princess project will be donated over a long period of time to a local children's home in Nymburk. Because Nely is fluent in Czech and English and loves to travel and learn new things, the collected funds will be used for the English classes, which will open doors for the children in the future in their professional lives. In December 2013 a one-time adventurous journey with Princess Nely to Prague Airport took place. Children from the Nymburk children’s home experienced an interesting and inspiring excursion into the secret recesses of the airport with active support and assistance from our partner, British Airways.